So there I was at a writer's conference, scared out of my mind, and intimidated by almost every woman in the room who seemed to have this writing/ blogging/ marketing/ whatever-ing thing conquered in ways that I still don't understand. And then I was introduced to Melanie Dale. At first she scared me too, for all the obvious reasons. But then, we began to share stories, and laugh, and empathize, and I couldn't help but simply ADORE her. And I remembered once again, we are in this together. And we are better together. And women don't have to feel so scary- at least not the Melanie Dale type of woman. This girl, who has become a dear friend, is a breath of fresh air. Truly. And her book, Women are Scary, which releases TODAY (Happy Launch Day Mel) is downright awesome. I had the privilege of endorsing Melanie's book and this is what I wrote- ""Women are Scary is laugh-­out-­loud funny. But it's so much more than that. It's an honest exploration of the one thing so many moms fear—one another. And it's an invitation to know and be known in this thing we call motherhood. Melanie is the real deal. Her humor, courage, and candor will inspire moms to "spur one another on" because, as Melanie writes, we aren't "just moms" we are world changers, and we are better, so much better, when we are with and for each other." It's a thrill to have Mel on the blog today! Has one of your kids ever gone, um, kinda beserk in public and you try to calm her down, only to look up and see another woman’s eyeballs staring at you? Eyeballs surrounded by gorgeous lashes and perfectly applied liner, eyeballs that couldn’t possibly understand all that you’ve been through that morning, afternoon, and now early evening squeezing in errands right at bedtime, hence the beserkiness? You often feel like you’re just barely holding together some kind of normal and juggling all the things, and other moms seem to juggle better. Like circus better. You feel defeated and judge yourself, but even worse than that, you feel like all the mom circus jugglers are judging you, too, so you try to judge them back out of self-preservation, and your head is filled with an epic battle of so much judgery. I’ve walked away from many a conversation in my saggy jammie pants feeling somehow lesser and defensive, like I chose the wrong type of milk, schooling scenario, or work environment. I’ve licked my heart’s wounds and I’ve had very loud conversations in my head about why the other moms are wrong and I’m clearly right. These momlationships can be exhausting and awkward as we stumble through small talk and sweat through our yoga pants. What do you do when you’re terrified of other moms? A few years ago, I prayed a prayer that has completely revolutionized my relationships with women, “God, help me to love women.” Nothing epic happened right in that moment, but over the years, I’ve seen him do just that. I became aware of the voices up in my head, you know, the ones that push us to compete with one another, the ones that say there isn’t enough and you don’t want her to have it because then you can’t have it, like we’re fighting for a sweater at Anthropologie. The truth is, there’s plenty of whatever for all of us. There’s plenty of joy and acceptance. I’ve come to realize that we are better together. We make each other better moms and women and human beings. We absolutely need each other, because life, because parenting, is so darn hard. When we lay down our terror and focus on love, we become women of grace. I want to be that mom who brings a smile to another mom’s face, who gives a fist bump of solidarity when she sees another mom struggling, who invites other moms into the mess of life with kids. 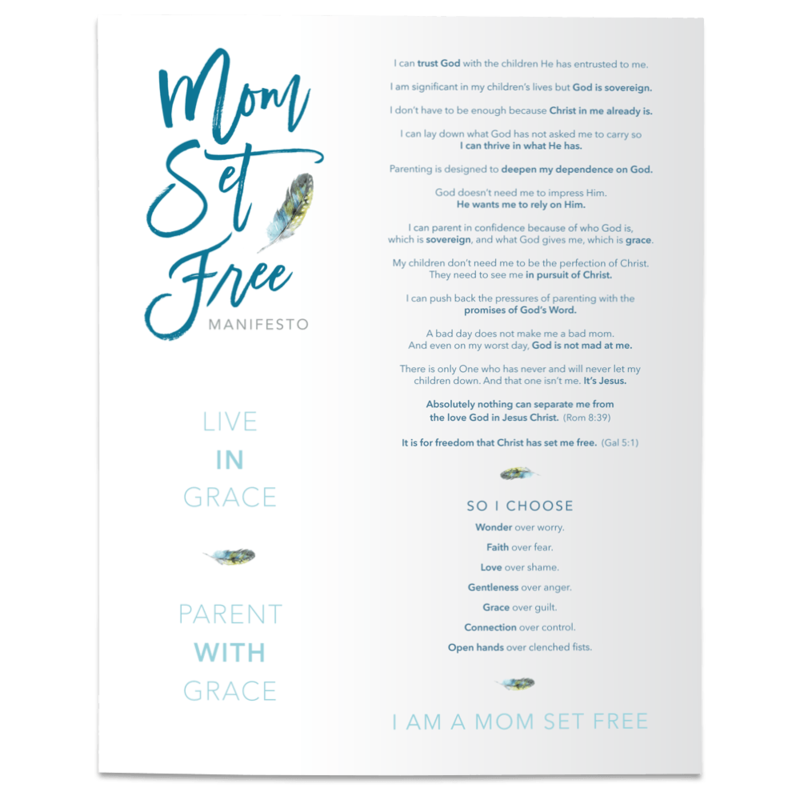 The world gives moms precious little encouragement for the work that we do balancing our lives and raising tiny people, so we desperately need to come alongside each other in the trenches of motherhood. Hey mama, I see your eyeballs. They look good. For more on building momlationships, check out Melanie's book, Women Are Scary: The Totally Awkward Adventure of Finding Mom Friends. And go be friends with her over at Unexpected.org, Twitter, and Instagram. And please, you must, take a second to read this interview between Courtney DeFeo and Melanie Dale, if for no other reason than it will make you laugh out loud. I dare you not to fall in love with Melanie. Mom, why is it called Good Friday?